In India, Shiva is the god of destruction. His job is to destroy the universe to re-create it. Every morning, Hindu temple bells ring out across the mist. The sound mingles with chanting, as groups of people gather to offer orange and pink flowers, milk and incense. But in the same way that metal can be melted down and cast into a beautiful statue, Shiva’s strength lies not in destruction but in the creation of something new. Where there is disruption there is renewal, and worshippers pray for opportunity and positive change. Temple of Shiva in Kanpur near the Ganges. This is what entrepreneur and Young Champion of the Earth finalist Ankit Agarwal contemplated one day, when he hit upon an idea. Looking out onto the River Ganges—the lifeline for more than 400 million people which provides 40 per cent of India’s population with water—he realized a paradox. The Ganges river has deep religious significance for Hindus. Millions bathe in its waters, believing they wash away sins. It is also highly polluted. “As I was thinking about this, a temple truck dumped flowers right in front of me. Then it struck me: this is something I’ve seen all my life. I didn’t think of flowers as pollution. I started studying the life-cycle of flowers and was amazed,” says Agarwal. 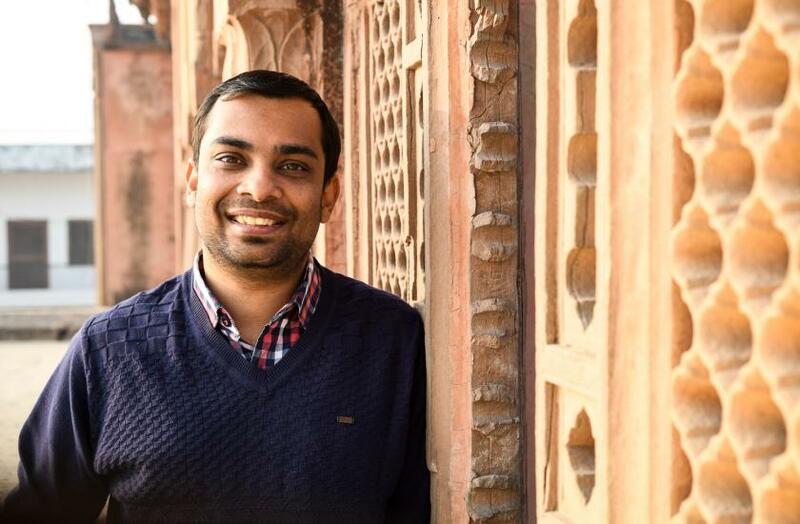 Ankit Agarwal, Founder and Chief Executive Officer at Help Us Green, India. 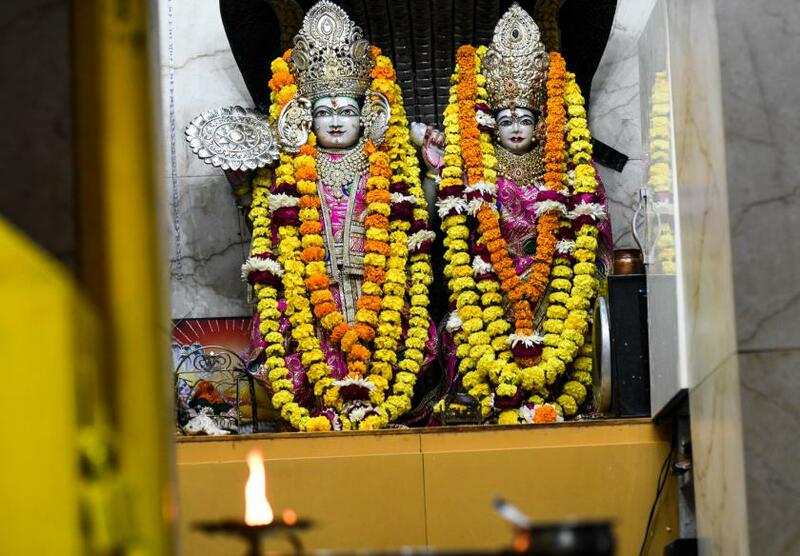 When Agarwal started collecting 18 kilograms of flowers a day, flowers from small temples in Kanpur, Utter Pradesh—India’s most populous state —people thought it was “nuts,” he says. With US$900 three years ago, he founded HelpUsGreen social enterprise. Today, the company has raised US$1 million in investment. 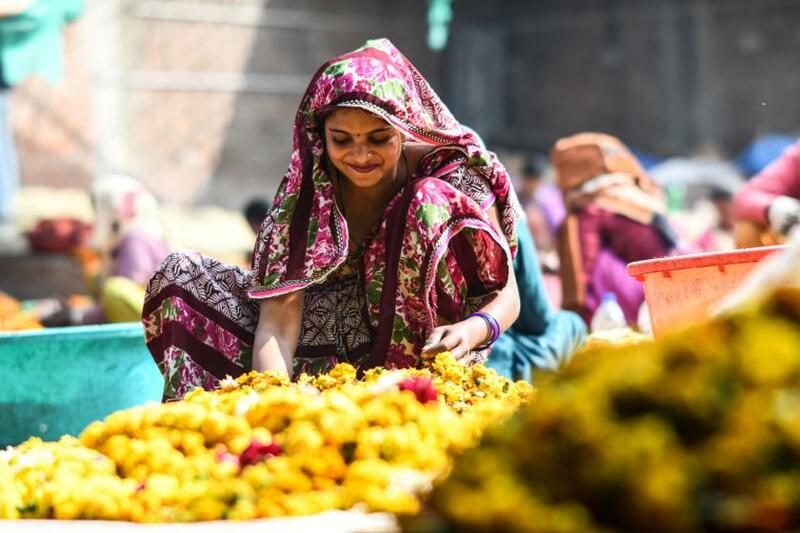 Working directly with temples at the nearby Ganges river, the initiative has upcycled 2,753 metric tonnes of flowers before they even reach the river, and offset around 275 kilograms of pesticide residue to date. 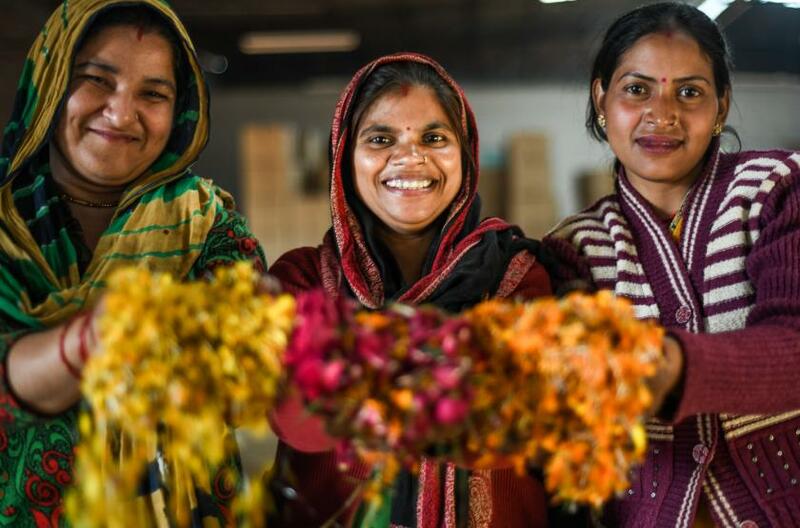 Women sort through flowers to upcycle them into incense. A small truck rolls into the factory grounds, dumping a mess of yellow, orange and pink flowers into waiting buckets. From there, the flowers are sorted and sprayed with organic extract to remove pesticides, washed, kneed and rolled into incense sticks and cones. Deepak Mann left Delhi to work at HelpUsGreen. “The women work with smiles on their faces. Everyone is comfortable working on this bigger project of saving the river Ganges from pollution,” he says. The enterprise now supports 79 women and Agarwal has big ambitions to bring that number to 5,000 by 2020. Most were previously working in hard manual labour jobs in the city or as sanitary workers with unpredictable income. The women are provided with national identity cards and taught to sign their name, enabling them to open a bank account and get health insurance. Living in slum areas—and often being illiterate—they would not access these benefits on their own. Colourful flowers are separated from other waste. Puja Sonkar did not have a job before hearing about HelpUsGreen through a friend. A year later, she has her own bank card and is saving to send her children to school, so they can become whatever they would like to be. 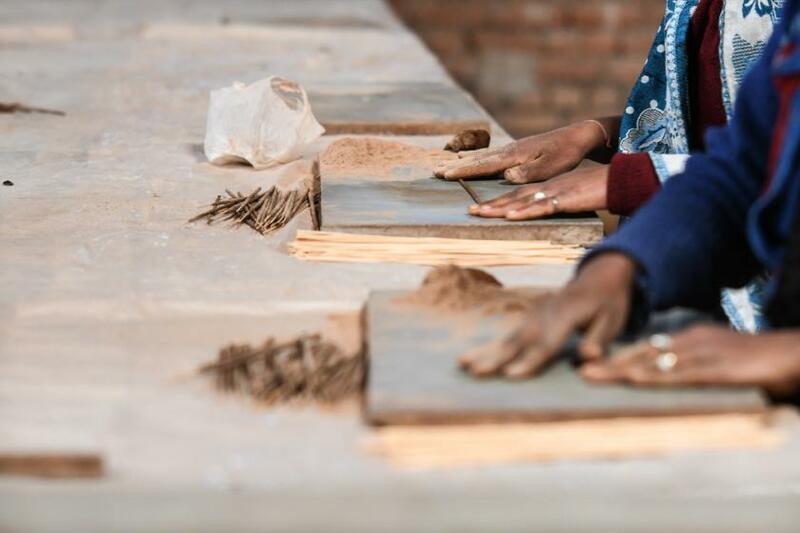 Munni Devi heard about the incense-making company through her daughter. “I was working at the hospital nearby and my salary was not paid on time. When you are not paid on time, you need to borrow. I used to ask my neighbours for cold water. “Now I have a fridge—my neighbours even ask me for water. I can save money, which I could not do before, and we have enough for food and water. My youngest children, aged 12 and 15, are going to school. Because we are poor, that is the only way out,” she says. Compost made from the flower waste is sold to farmers. But the real value is in making the organic, charcoal and chemical-free incense and cones. Biodegradable packaging is also made from the flowers, and organic leather made from flowers is being tested. The flowers are kneaded and rolled into incense. “My vision is to ensure that everyone has equal rights and opportunity,” notes Agarwal. He also plans to set up a micro-flower entrepreneurship franchise model, to scale faster. “To solve this pollution problem, we need at least 10,000 people like us,” he says. In a small packing room, wall signs highlight 13 fragrances, from orange and rose to eucalyptus and Lavender. 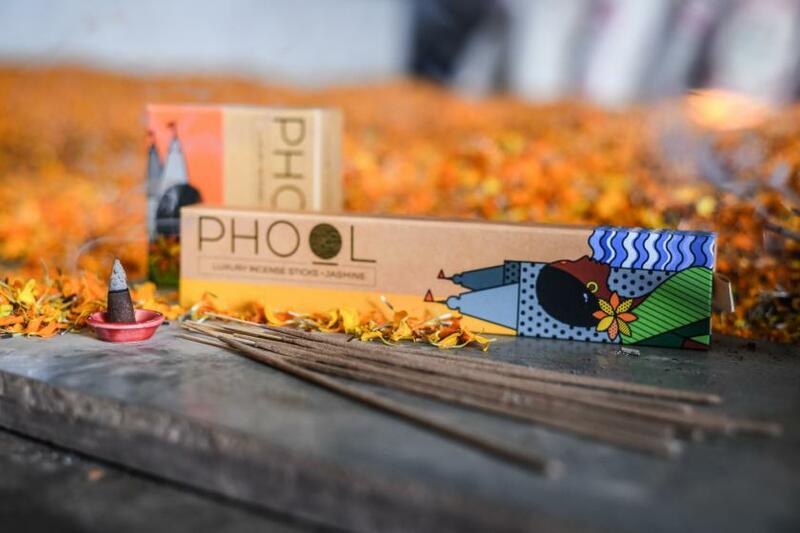 Neatly crafted boxes bound for customers across India contain colourful incense holders. The destroyed flowers are transformed and given a new life. The flowers are packaged into incense sticks and cones ready for sale. Ahead of the United Nations Environment Assembly this March, UN Environment is urging people to Think Beyond and Live Within. Join the debate on social media using #SolveDifferent to share your stories and see what others are doing towards a sustainable future for our planet. This blog was originally published on UN Environment website.